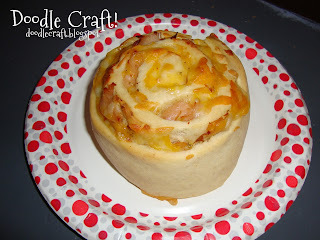 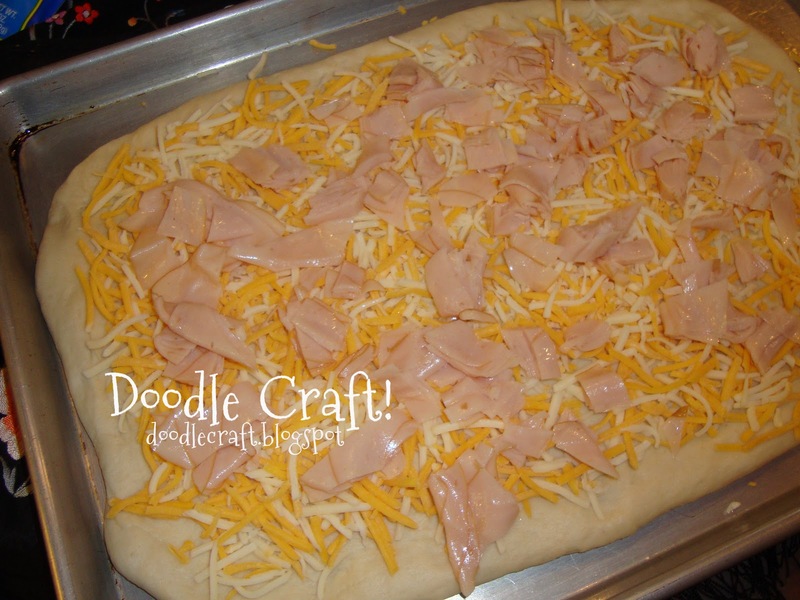 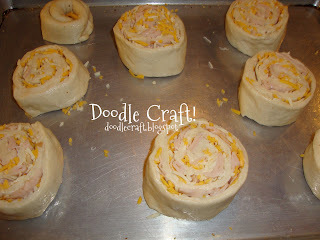 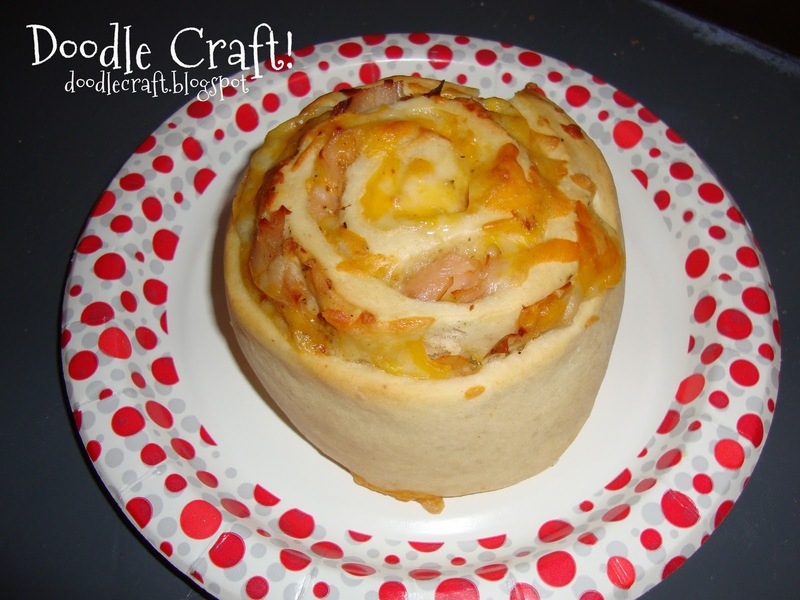 Doodlecraft: Ham and Cheese Rolls! 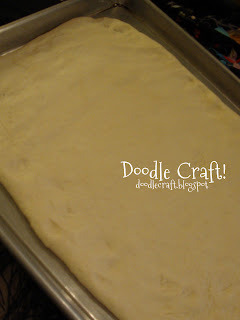 Bake 400* for about 14 minutes. 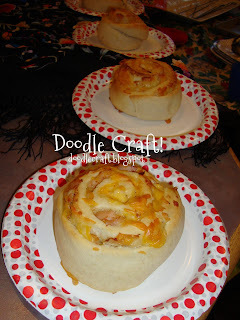 Serve with Pizza sauce or Ranch dressing! Aw man! 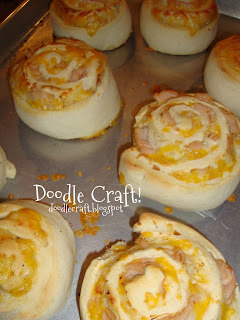 Now you're making me hungry!